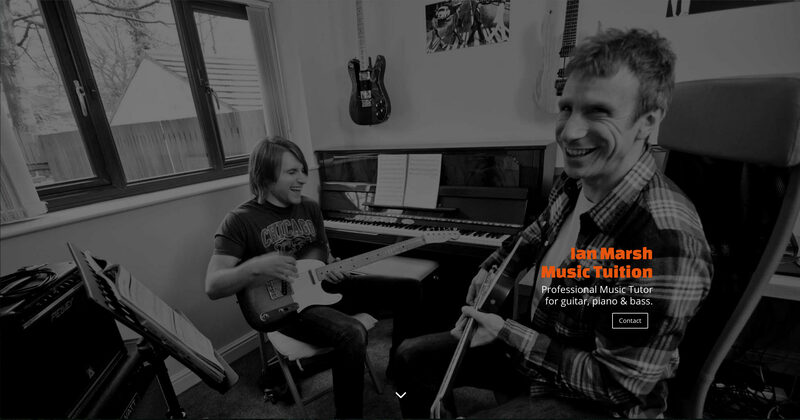 Ian Marsh is a music tutor that asked me to design him a website that showcases the range of services he offers. The website has a clean, modern, uncluttered look and fits all of the important information on one page which makes the page very user friendly. My old website was really dated, not mobile friendly and in drastic need of an upgrade. James designed me a new one and I couldn’t be happier with it. With just some text and photos from me, James created a great website that ranks well on Google and looks slick and professional on a tablet, phone or laptop. A great, hassle-free service with excellent result.